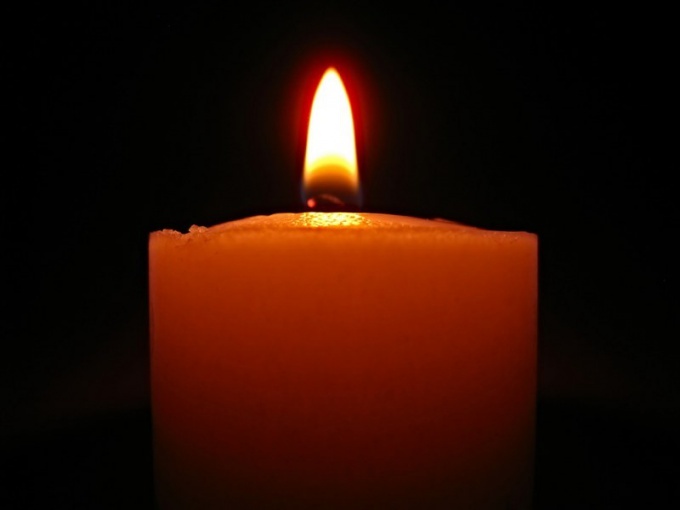 Home manufacture of candles – is a fascinating pastime. You can make inhabitants of the zoo, fantastic castle, magic garden. The wax has a noble yellowish, which looks very nice, but not always suitable for the solution of creative tasks. Paint the wax or paraffin in several ways. 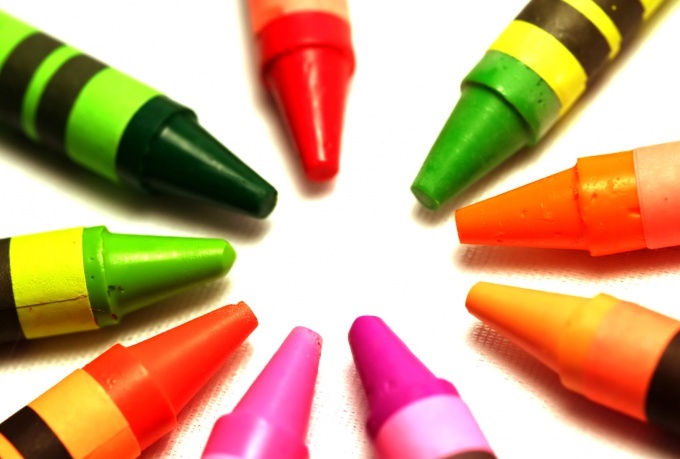 The ideal material for coloring wax and paraffin – wax crayons. They already contain the necessary fat-soluble dyes. To work you need 2 pots or a special device for the water bath. The pan should be such that less had handles to hook over the edges more. Wax crayons of the desired color RUB on a small grater. Wax or paraffin put in a smaller pan, and pour most of the water and bring to a boil. Melt the wax, add the resulting mass is crushed chalk and mix thoroughly. Hold the wax or paraffin in a water bath until the colour is smooth. There can be clumps of dye that is best to remove. In hardware stores sometimes you can find aniline dyes for wax. They are suitable for coloring the wax. These paints are available in the form of tablets or powders. A method of coloring a little different from the previous one. The tablet must be thoroughly crushed, the wax or the wax is melt on water bath. Pour the dye, stir, soak the mass in the molten state to obtain an even shade. In the same way stained paraffin with colored candlestick scrap, so the candle colored candles do not throw away, they can still be useful. However, the color will turn out slightly lighter than original. Many plants contain natural dyes suitable for coloring the wax. For example, marigolds give a rich yellow color, with tansy, you can paint the wax in various shades of green peel of walnuts will give your wax a gentle Golden hue. 1 kg of paraffin or wax should be about 4 cups of leaves of tansy or marigolds. The leaves or flowers, grind is not necessary. It only needs to be placed in a pouch of cotton or wool fabric (that is, one which does not contain artificial fibers that can melt at higher temperature). In paraffin need to add a little stearin, wax, nothing to add. Melt the paraffin or wax in a water bath. Immerse in the weight pouch with flowers or leaves, and watch the process, stirring the wax. Keep in mind that melted wax is slightly brighter than a frozen ready-made products. It is possible to paint and cast in wax or paraffin wax product. In this case it is better to use wax crayons. Crush the chalk to make a powder, melt in a water bath. Add a little wax or paraffin wax (depending on the material of the product) and mix. Dip in paint the finished product and get. If you have already mastered all the painting tools - the brush and palette knife to pen and airbrush - look to household items. Some will help you in creating the paintings. For example, to draw paintings in molten wax encaustic technique using iron. Set up your work space. Cover table with oilcloth or thick paper (sheet of paper). Fold a paper towel or a rag that will clean the tools. Acquire tools for drawing with wax. You can buy a special iron for encaustic. It differs from the usual small size, absolutely smooth sole and a comfortable handle-support. However, ordinary iron is also good – the main thing is that the soles had holes. It is convenient to use the old so-called road irons – they are smaller and lighter than conventional, they can be flipped and put on the handle, using as the heating surface. Also in the online store or salon products for artist to buy cautery. This tool is a heated metal rod with nozzles of different shapes. It allows you to create smaller elements in the figures with wax. You will also need a set of wax encaustic. It is sold in packs of multiple colors. However, the fit and the usual crayons, if they melt at a low temperature. Before you begin, make sure that the material is non-toxic (note: this should be on the packaging). Start drawing. Take a sheet of cardboard. Its surface should be smooth, glossy. Turn the iron on the lowest setting. When he warmed up, turn it over and swipe the sole with wax. Fill in with color about half of the surface. The layer should be thick enough. Flip the iron and slow the sliding movement of the slide to the cardboard. You get a uniform band of colour. To make smooth transitions of shades on the iron melt several colors of wax and slide it over the cardboard not only forward but also downward or in the opposite direction – changing the direction, you mix the colors. To do on not cooled color layer lines, draw on the cardboard side of the iron. Small details can bring and the nose iron (if this work you are acquired cautery). If you move the iron is not uniform and the number of times you touch them to paper will be removed, the sheet will remain scenic trail – their form of individual, you will be able to control it, gain a bit of experience. You can also draw directly on the soleplate. Turn it over and put it on the handle. Apply the wax to the surface, and the top attach the cardboard and gently swipe it aside. Either put the cardboard on the iron and when the paper heats up, draw directly on it melting temperature wax crayons. When the drawing is ready, the wax is frozen, Polish it with a dry cotton cloth, it will make the picture glossy. At home the manufacture of decorative paraffin candles may need their color. To cope with this task will help the fat-soluble dye added to melted paraffin or natural materials. - the flowers of marigolds. Before painting the wax will need to melt in a water bath. However, if you don't have this device, replace it with two pots of different sizes. Place the paraffin in a container of a smaller size and insert it into a pot of boiling water. Once the paraffin is completely melted, remove water bath from heat and add dyes for wax produced in the form of powder, tablets or aniline dyes for candles or oil-based. The dosage of the dye depends on the intensity of the color of wax. It is better not to use a dye in high concentration. Dyes for candles can be mixed. So, yellow and blue paint to get green, red and yellow – orange, and blue and red – violet. In order to avoid unexpected chemical reactions between the components of the mixture, add to hot melt inks of the same manufacturer. For colouring of wax you can use wax crayons. RUB the crayon of the desired color on a small grater, add in melted paraffin and stir. Such a dye may dissolve unevenly, so after the melt will acquire a desired color, try to retrieve them it the remaining fragments of chalk. 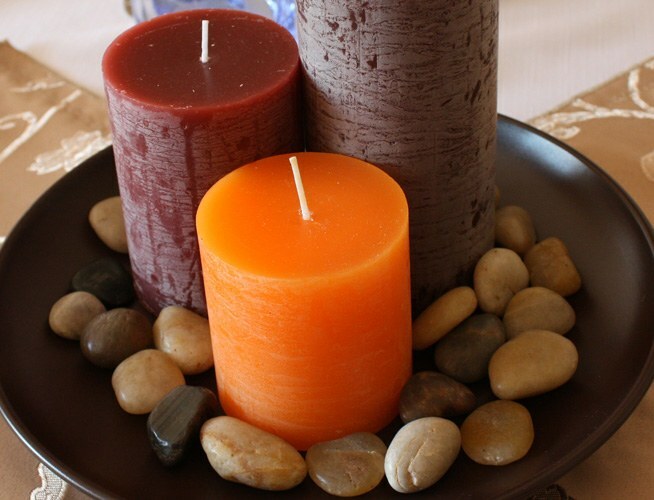 Lovers homemade candles using natural materials to make the wax a desired color. The leaves of tansy will stain the melt in the green, green rind of the walnut can be used to obtain a Golden color. African marigold flowers known as marigolds or Tagetes, are used to get yellow. To color a pound of wax you will need two cups of leaves of tansy, or of marigold flowers. Walnut peel takes only half a Cup. To extract dye from the leaves or flowers in paraffin wax should be added from ten to twenty per cent of stearin. The melt obtained from the scrap of candle, the substance is already contained. Place the coloring material in a bag of loose fabric that does not contain components that may melt in the heated paraffin. Put prepared bundle in the heated on a water bath melt and leave it on for an hour. From time to time stir the paraffin mass for a homogeneous coloration. Painted the melt has a much more vivid color than the frozen wax. To see how will look the result of your effort after hardening, place a drop of melted mass on a dense sheet of white paper. The polishing of the car body will allow him a long time to preserve its original appearance, and the surface to be protected from the harmful effects of water, dust and UV rays. From a range of car cosmetics, designed to protect the bodywork and give it a Shine, the most popular means on the basis of wax. To the polishing process gave a good result, you need to choose the right wax. As with most cosmetics, it can be made on the basis of synthetic and natural basis. Means in the form of aerosol and colored wax is made primarily from synthetic polymers. Pay attention to the price funds. Cheap wax, bought on the car market, very quickly loses its properties, requiring more frequent applications. Besides, it may contain abrasive materials, which will negatively affect the paint coating of the car. Once you have chosen the tool for polishing prepare for this procedure your car. Wash it, then wipe with a soft cloth and allow to dry. Grab a sponge or a cotton cloth, moisten it and then dip in wax to grasp a small amount. Excess wax can be a significant obstacle to the polishing, as you will need to put a lot of effort for its gentle removal. RUB the car, performing the movements with a cloth only in a straight line up and down or left and right. Avoid rubbing the body in circular motions, as this reduces the effect of opacity of the wax. Make the work to ensure no streaks. Then apply another layer of wax. When the medium begins to solidify, it will take the form of an opaque haze - it's time to remove the excess. Use Terry cloth. To simplify the work with the e-wax will allow the wax buffer. Spread the wax and start to slowly move it along the work surface. Do not make sudden movements, move the device very smoothly. Buffer to apply the wax, and you should ensure a full capture area. Let the wax dry. To remove it put the buffer cloth and slide it across the surface. 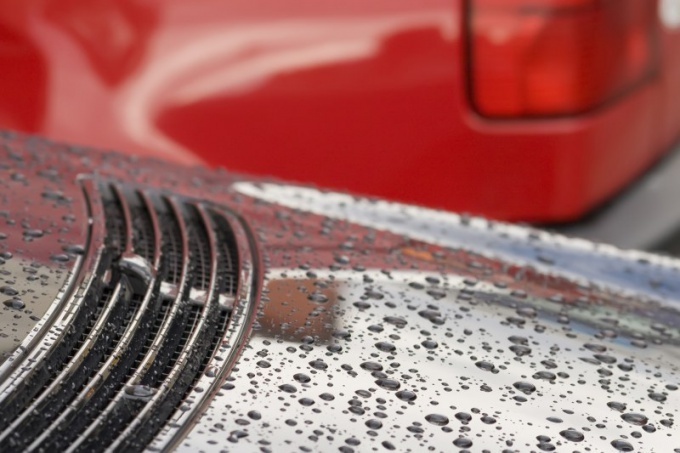 The sign of a quality coating – the formation of water balls when you hit it on a waxed surface.